Read my article on the incredible William Sichel. He has been flying the flag for ultra running for 20-years. This year he took on the intimidating 3,1000 mile SRI CHIMNOY. 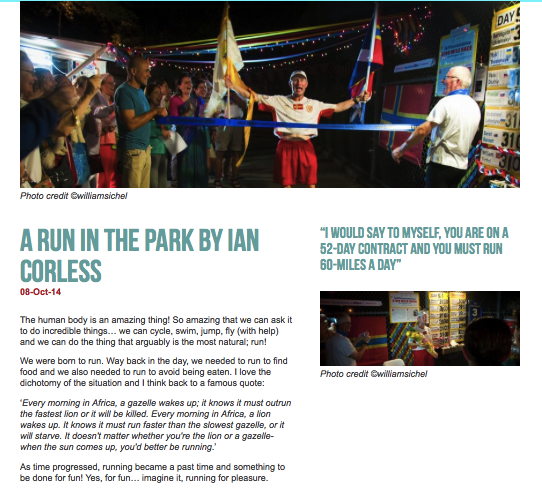 This entry was posted in Uncategorized and tagged 12 hours, 24 hours, 48-hours, 6 days, newyork, old ultra runners world record ultra runners, Orkney, run ultra, running 3100 miles, running at 60, running in circles, runultra, Scotland, sichel, sri chimnoy, srichimnoy, the 31 hundred, UK, william, world record ultra runner from scotland by talkultra. Bookmark the permalink.